Each year the American Powerboat Association (APBA) selects a vintage Team of the Year for the East & West Coast regions. 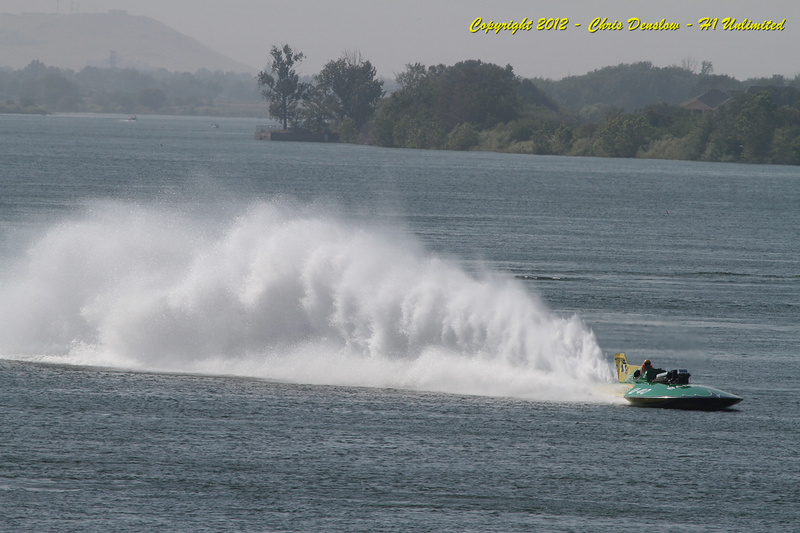 Any vintage team (limited or unlimited) that has participated in an event that year is eligible, and the winner is chosen by the National Vintage Committee with the award presented at the APBA National Meeting. The 1962-65 Miss Bardahl team was selected as the winner of the West Coast award in 2013. This continues a long tradition for the team & crew, which was selected as an "All American Racing Team" in 1963, 1964 & 1965, along with Crew Chief Leo Vanden Berg's Crew Chief of the Year awards in 1964 & 1965. The write-up below explains the background of the team earning this award in 2013. Since restoration in 2007, Miss Bardahl has attempted to and successfully run 107 times, always starting and never once returning on the end of a tow rope. This represents 100% reliability since restoration with over 17 hours of run time. The team operates like a professional racing team – with assigned crew duties, religious use of a checklist between runs, and exudes professionalism at all levels. The stunning quality of the boat and restoration are reflected in the how the team operates and executes at all events, on and off the water. The level of professionalism shown by the crew is on par with that of the famous Miss Budweiser crews. But this is to be expected, as 4 of the crew members are from the original 1965 Miss Bardahl crew (Dixon Smith, David Smith, Skip Schott, Roger Kruse), and continue to operate with the excellence and discipline instilled in them by original crew chief Leo Vanden Berg. “A big thanks to the Miss Bardahl crew for the hard work this weekend in Pasco. We ran four times with no major issues and put on a great show. Of particular note is the last run. As usual, the crew quickly completed the checklist and had the boat ready to go early in the day. With multiple H1 crashes, the schedule was very much in flux. When the last minute decision to run the vintage early came down, the Green Dragon was ready. However, due to the time constraints and crane delays with the other boats, H1 sent the other 2 vintage boats onto the course before Miss Bardahl was even in the water! However, due to the professionalism and preparation of the crew, less than 5 minutes after being given access to the crane, the Green Dragon was roaring around the Columbia River in perfect formation with the other boats. © Ryan Smith, 2003-2015. All rights reserved.